'I love Denver' said the cute, straight-haired mom as she walked by with her yoga partner holding matching to-go coffee cups. She was passing by a full-faced, full chest-haired, full on daytime drag sighting of a Queen in-between gigs. It was in that moment I told Kelena Cortez, "We are Denver." BRAVO! ZINE is a coffee-table style publication highlighting and admiring the unique individuals who stomp the streets of Denver, the artists who keep the creative flow alive, and the freaks and weirdos who make the cool kids stop in their tracks to say "I love Denver". Here's to the revolutionaries who encourage and preserve creative expression: BRAVO! 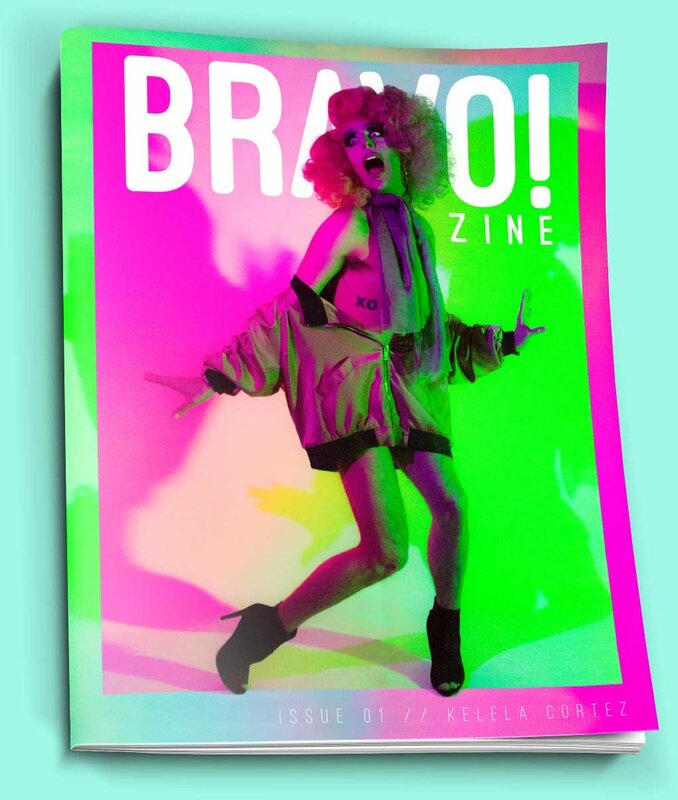 The debut issue of BRAVO! Zine features Kelela Cortez on the cover.